A new report documents how illegally extracted African timber deceives consumers, emerges as eco-friendly US product. In other Wood Product news: CLT makes waves in Vancouver and Langley, BC; Washington State researchers use carbon fibre to make CLT even greener; and the U of Maryland’s wood densification research is in the news again. 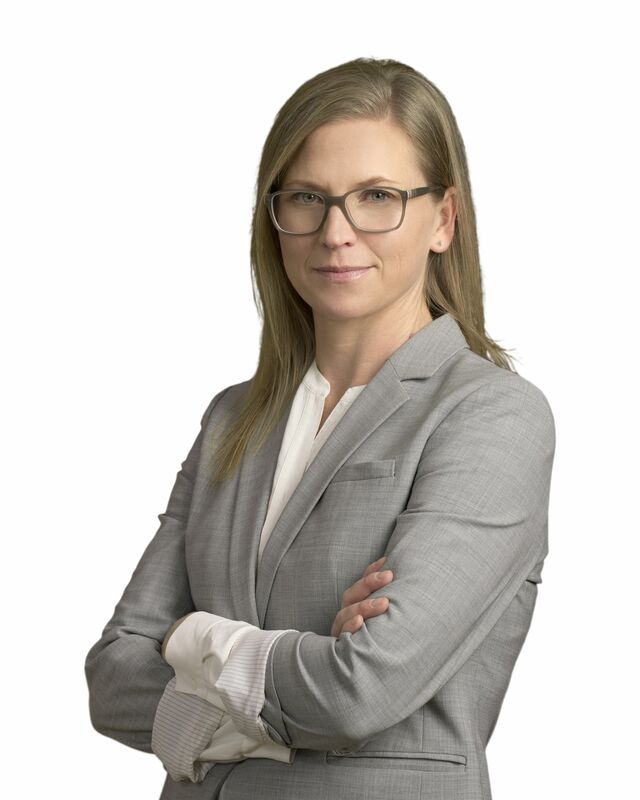 In other news: Tolko’s sawmill rebuild nears completion; Les Leyne’s behind the scenes scoop on the Paper Excellence-Catalyst sale; Ontario Premier Ford’s Far North Act is panned; West Fraser tackles its Douglas-fir beetle problem; California declares wildfire emergency to expedite forest treatment projects; and Tom Fletcher takes aim at BC teachers environmental activism message for students. Finally, how many potty-themed words can copy-editors squeeze into a toilet paper headline? Authors of a report released last month by a pair of environmental groups chafed at our country’s three biggest toilet paper producers for relying on trees from virgin Canadian forests to keep top USA TP brands squeezably soft. The report… created a brief media splash, giving copy editors a chance to compete over how many potty-themed words they could squeeze into their headlines. …Meanwhile, toilet paper is now the 141st-most traded product in the international market, and generates $6 billion in sales annually in the U.S. alone. While I don’t care for the Charmin bears, I like their product. So here’s hoping our often volatile leader doesn’t get into another tariff dispute with the Canadian prime minister. Please, Mr. Trump. Don’t put the squeeze on my Charmin. We touched base with Tolko Industries Ltd. for an update on the rebuild of Lakeview sawmill where a fire in November 2017 destroyed the mill and shut down production. Janice Lockyer, communications advisor for Tolko provided answers to our questions on behalf of the company. …Approximately 85 per cent of the sawmill is completely constructed, some outlying areas need finishing touches. …For the most part the entire manufacturing facility is new, with the exception of the backend. …We are currently in the middle of our recall process, so the numbers vary. We are conducting a thorough recall process and bringing staff back on as needed to familiarize them with our safety procedures, new equipment and processes, and anything else that may have changed while they were away. The cabinet decision to exempt the Catalyst Paper sale from a requirement the government imposed last year was made because the purchaser refused to meet it. The government relented in the belief the deal is the best possible outcome. The requirement was imposed during a financial crisis to protect pensioners, and it became a sticking point during subsequent negotiations, a government official said. …Paper Excellence, a B.C.-based company owned by Indonesian interests, balked at the government’s stance, the official said. …As noted here Wednesday, a cabinet order was signed last week that exempts the sale from that requirement, a few days before Premier John Horgan attended a celebration of the deal. …Paper Excellence has purchased all the shares in Catalyst, but Catalyst still exists as a company, one with a new parent company. That’s significant in terms of the pension obligations. Late last month, Ontario’s Progressive Conservative government confirmed that it plans to repeal the Far North Act, seeking to reduce “red tape” and increase “business certainty” in the Ring of Fire. …this strategy is sure to backfire. …Except for the De Beers diamond mine near Attawapiskat, there has been almost no industrial scale development in the whole region, which is why… the Ring of Fire region will require major new roads and other infrastructure. When the Liberals first introduced the Far North Act in 2010, the plan was to “protect” 50 per cent of the boreal wilderness, while “partnering” with First Nations in decision-making and revenue-sharing so as to facilitate mining. …NAN rightly objected: The Act doesn’t recognize the inherent jurisdiction of Indigenous peoples. …As Donny Morris, chief of Kitchenuhmaykoosib Inninuwug First Nation, wrote recently to Mr. Ford: “Repeal your laws [if you like], but respect our laws”. For generations, Pic Mobert First Nation’s economic situation was no different than many Indigenous communities across Canada: on the outside looking in at natural resource development. …White Lake Limited Partnership CEO Norm Jaehrling recalls making that observation 25 years ago… When Domtar closed the sawmill in nearby White River in 2007, it provided an avenue for Pic Mobert to get its foot in the door. …As part of a three-way partnership of investors, they brought retired Tembec founder Frank Dottori aboard as CEO to run the operation, which was reopened and re-equipped under the new banner of White River Forest Products. To supply fibre to the mill, the community mobilized a logging company in 2015. When Dottori acquired the former Haavaldsrud sawmill in Hornepayne, Pic Mobert and two other communities grabbed a 30 per cent ownership stake. The investment put Indigenous workers on the floor, and in the bush as harvesters. WASHINGTON STATE — Lumber prices have plummeted over the past 10 months, casting an uncertain pall on a sector that’s been a harbinger of economic downturn in the past. It’s worrying news for Cowlitz County, home to more forest product jobs than any other county in the state. After peaking at $582 per 1,000 board feet in May 2018, the price of Douglas fir is down to $390 this month. “We’ll see some slowness this year, maybe continuing into 2020, but then longterm the potential is still there for growth,” forecasts Daniel Stuber at Forest2Market. But that growth is far from certain. …And there are troubling hints of slowing housing construction, with housing starts and building permits both lower this year than in 2018. …Applications for new home construction building permits were down 1.4 percent compared to a year ago. Construction of new homes and apartments in January dropped by 7.8 percent compared to a year ago. SAN FRANCISCO — Pacific Gas & Electric Co. pushed back Friday on a U.S. judge’s revised proposals to prevent the utility’s equipment from causing more wildfires, saying it could not “monitor every tree at every moment of every day” to ensure they don’t pose a threat to its electric lines in violation of California laws.Judge William Alsup earlier this month proposed requiring the company to fully comply with all vegetation management and clearance laws as part of its probation in a criminal case. Alsup called the utility’s efforts to prevent trees from hitting its power lines and starting wildfires dismal.That requirement would likely result in probation violations because tree conditions are constantly changing, PG&E said in a court filing. ” …PG&E also objected to Alsup’s proposal to ban it from paying dividends to shareholders until it meets his vegetation management requirements. Adera has been in operation for 50 years and the company is celebrating the milestone with the launch of Duet, a 72-home project that will be noteworthy for sustainability in multi-family residential living. Eric Andreasen, Adera’s vice-president of marketing and sales… “We’re taking that concept to the next level with ‘SmartWood’, which will allow us to beat code when it comes to sustainability. Financially, it’s cheaper to operate on a monthly basis and it’s also helping the planet.” “Duet will also incorporate what we’ve trademarked as QuietHome,” Andreasen added. “This is a propriety system of floor design and dividing walls that means our buildings perform better than the competition when it comes to the acoustics. Sound transmission is significantly reduced.” …Duet also features cross-laminated timber — or CLT — in the floors and elevator shafts of the building. A new report from the Environmental Investigation Agency (EIA) documents how illegally extracted African timber emerges as “eco-friendly”-marketed products in America, deceiving unsuspecting US consumers. During a 4-year undercover investigation, EIA uncovered the inner workings of one of Africa’s most influential timber conglomerates – the “Dejia Group” – controlled by Chinese mogul Xu Gong De. …According to evidence collected by EIA, the Group has continuously broken the most fundamental forest laws, has turned timber trade regulations upside-down, and has diverted millions in unpaid taxes from the governments of Gabon and the Republic of Congo. …In the US, the complicity of the main importer and the deliberate negligence of a prominent manufacturer are critical elements of the toxic supply chain. As a result, US consumers have unknowingly supported one of Africa’s most brazen criminal forest networks for over a decade. Our Home — Superwood stronger than steel? Can a wood product be stronger than steel? That‘s the claim of a team of researchers from the University of Maryland. They have refined a “densifying” process of using a soft wood, such as pine, by first soaking the wood in chemicals, then squeezing it and passing it through rollers to create a “superwood” that is 12 times stronger than steel. …Discovering more uses for wood, a renewable resource, will be an important factor as we reduce our dependence on coal, gas, and oil to make concrete, plastic and steel. Concrete and steel production now accounts for 8 percent of greenhouse emissions worldwide, which is not sustainable, given the dangers of climate change. …Overcoming wood’s disadvantages, such as its susceptibility to burning, rotting, swelling and cracking, is an essential goal of this relatively new field of research. …Many trees will need to be planted and replanted. Sustainable forestry is the only way forward. Researchers from Washington State University’s Composite Materials and Engineering Center (CMEC) partnered with a nonprofit recycling center in Port Angeles to combine recycled carbon fiber from airplanes with thermally-modified timber to construct better housing materials. 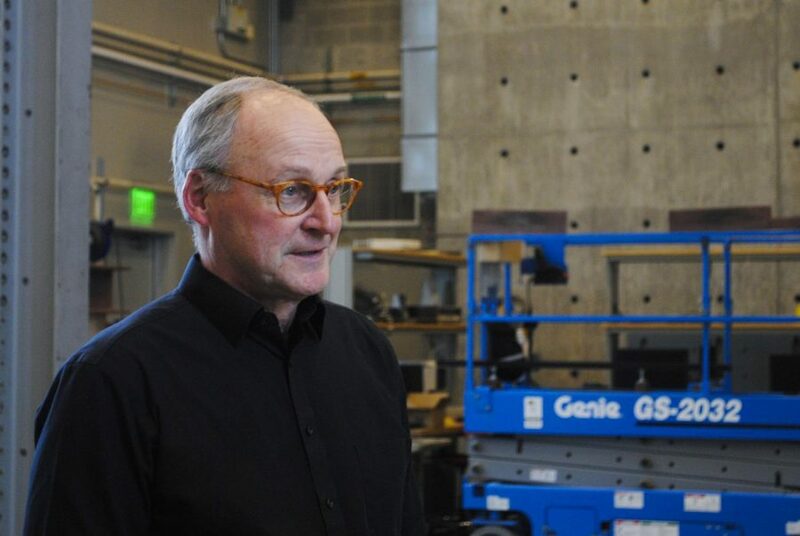 CMEC Director Don Bender said they were looking for a creative way to marry carbon fiber with cross-laminated timber to create safe, affordable houses made out of green materials. …When CLT panels experience natural disasters like earthquakes, they can split and gather localized stress near the edges, he said. The carbon fiber can be used to prevent damage and strengthen the wood. …He said CLT is intended for interior and dry use, but when there are changes to the moisture, humidity and temperature, the carbon fiber bonded to the wood will not move, but the wood will move. After months of controversy, the B.C. government has released two draft plans to protect endangered caribou in the province. MLA Doug Clovechok for Columbia River-Revelstoke said the drafts are worrisome, in particular the short time frame for stakeholders and the public to provide feedback. The government is accepting feedback on the plans until April 26. Clovechok referred to the short window for discussion as “not good enough!” One draft plan covers the southern mountain caribou herds from the Kootenays to north of Prince George and the other focuses on the central mountain herds in northeastern B.C. The drafts are meant to minimize the risk of a federal emergency order that would unilaterally close off caribou habitats and result in billions of dollars in economic loss, according to the B.C. government. Something new and exciting will soon be happening at the lake, courtesy of the Cowichan Lake Community Forest Co-op. Bruce Ingram, chair of the CLCFC finance committee, announced to Cowichan Lake Chamber of Commerce members at their annual general meeting March 7 that, starting just after June 30, the year end for CLCFC, the co-op will be calling for requests for funding. Yes, they’ll be giving away money, he said. …The CLCFC, the Pacheedaht First Nation, and the provincial government are now working together, after years of negotiation, operating the Qala:yit Community Forest: 8,000 hectares of land with an annual allowable cut of 31,498 cubic metres. Ingram is enthusiastic about what’s coming for his community. Video footage taken from a plane shows an extensive logging operation on Saturna Island despite some dismay amongst Tsawout First Nation community members. Some members of Tsawout First Nation are opposed to the logging operation, which has already clear-cut about 80 per cent of a 33,477 cubic metre-stretch of Douglas Treaty traditional hunting and fishing community land, according to Perry LaFortune, one of the individuals opposed to the logging. Tsawout First Nation chief and council made the decision to contract a lumber company to cut down trees on the reserve. LaFortune said they have asked their chief and council for a concession of the remaining 20 per cent of land but said he is unsure as to whether or not they will concede. …The video was submitted to Black Press Media by Daniel Claxton, another individual opposed to the operation. The Penticton Fire Department would like to remind residents of the potential wildfire threat during hot summer months and to educate themselves on the susceptibility of homes and property to fire. “Preparation is the key to mitigating the risk of damage by wildfire,” said Cpt. Mike Richards. By following a few simple steps set out by the national initiative, Fire Smart, the risks of a wildfire can be avoided or reduced. Fire Smart Canada is a national initiative that helps property owners living in/and or close to forested areas to be aware of the wildfire threat and offers ways to take action to make their homes and community become “Fire Smart.” … the fire department suggests drawing on community spirit by forming a co-operative network with your neighbours around you. For other ways to protect your home, download the FireSmart Homeowner’s Manual or visit the FireSmart website – www.firesmartcanada.ca. Although the salvage harvest of burned timber from the 2017 and 2018 wildfires has captured the headlines in recent years, the Douglas-fir bark beetle has silently been attacking our Douglas-fir forests. …West Fraser is responsible for the management of beetles in its operating areas. Some of the most significant infestations have been in the Skelton, Buxton and Gavin Lake areas where West Fraser has been intensely carrying out beetle probes with ground crews walking the areas identified in the ministry’s annual aerial survey. The beetle probers look for patches of sawdust called frass on the outside of the bark… then mark the tree with paint and enter the GPS location for mapping. The infested trees along with skid trails are then mapped to allow logging equipment to get to the infested trees to fall, skid, process and deliver them to our mills while the beetles are still under the bark. A new generation of wildfire fighters are slogging away at their first boots-on-the-ground training camp this week. The group of 11 Grade 12s, all from Chilliwack high schools, have been pushed through strenuous physical training that concludes on Sunday. They’ve carried dead weight, climbed obstacles and moved through several ex ercises that simulate a fire call. They all have one goal in mind — to join the B.C. Wildfire Service (BCWS). To make it in the bush they’ll need high endurance, strength and agility. …The week-long program is a collaboration between the Chilliwack School District and the BCWS. At the end of the training, two of the 11 students will be offered a chance to interview with BCWS and be hired on for summer forest-fighting work. Oregon sold $100 million in bonds on Thursday to pay a portion of the Elliott State Forest’s obligation to raise money for schools. State Treasurer Tobias Read announced the completion of the sale, which will deliver $100 million into the state’s Common School Fund. The state will repay the bonds to investors over 20 years with 3.83 percent interest. The bond sale is the cornerstone of a new plan to separate the Elliott State Forest from its requirement to raise revenue for the Common School Fund. In the past, the state has raised revenue for the Common School Fund through logging in the Elliott State Forest near the southern coast. In recent years, lawsuits over endangered species have prevented timber sales and limited the revenue the state can raise from the forest. 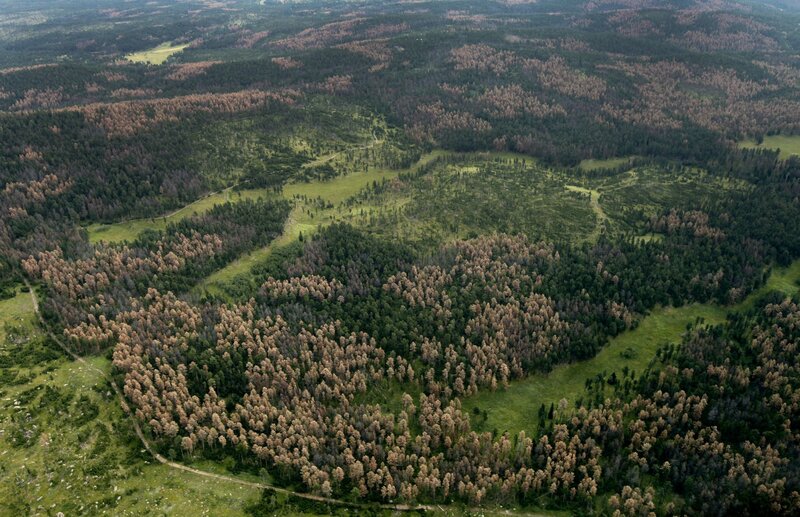 A Rapid City legislator said he will try again next year after failing to designate state funds for preventative measures against mountain pine beetles. Rep. David Johnson, R-Rapid City, participated in a Black Hills National Forest Advisory Board meeting Wednesday at the Mystic District Ranger Office in Rapid City, where he updated the board on his failed beetle legislation. The main run of the 2019 legislative session concluded March 13. Johnson said he hopes to work with members of Gov. Kristi Noem’s administration on a funding request for the 2020 legislative session. “I will be asking for some more state money, and frankly, I’m going to ask for twice as much,” Johnson told the forest board. Timber companies say a bill proposed in the Oregon State Legislature intends to cripple logging operations across the state. House Bill 2656 would ban clearcutting, roadbuilding, and the application of pesticides, herbicides and fertilizers in forestland watersheds that supply public drinking water systems. Proponents of the bill say the bans would protect … drinking water [that] comes from land where logging operations occur. 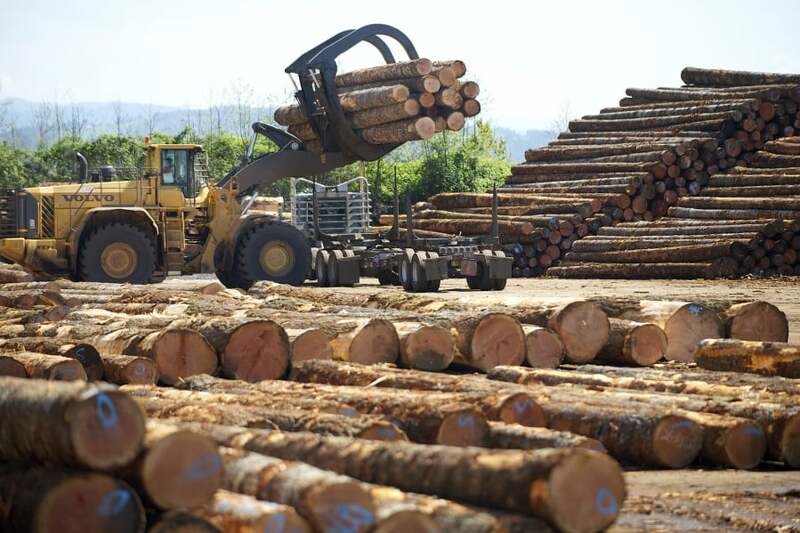 Eric Geyer, a spokesman for Roseburg Forest Products, said proponents of the bill intend to “effectively shut down the timber industry.” “Because of the area it covers and the restrictions that it places on management of those lands, we wouldn’t be able to operate,” Geyer said. …Supporters said clearcutting and roadbuilding erodes soil and causes stream sedimentation during rain events. …the timber industry disputes claims that logging operations contribute to sediment transport. They point to studies that show sediment levels in waterways remained the same after harvests. Gov. Gavin Newsom declared a state of emergency in California on Friday and waived environmental regulations to expedite nearly three dozen local forest management projects to protect communities from the deadly wildfires that have decimated regions up and down the state. The governor’s action marks the latest effort by the state to offset the possibility of catastrophe after back-to-back years of savage wildfires that killed more than 100 people and burned nearly 2 million acres in total. The projects will cost a total of $35 million, which will be paid with forest management funds in the 2018-19 budget. …Critics voiced concern about the governor’s decision to suspend guidelines. …The report recommended that the state waive and streamline regulatory requirements and direct Cal Fire to immediately begin 35 fuel reduction projects… and waives laws that… would typically apply to the projects. 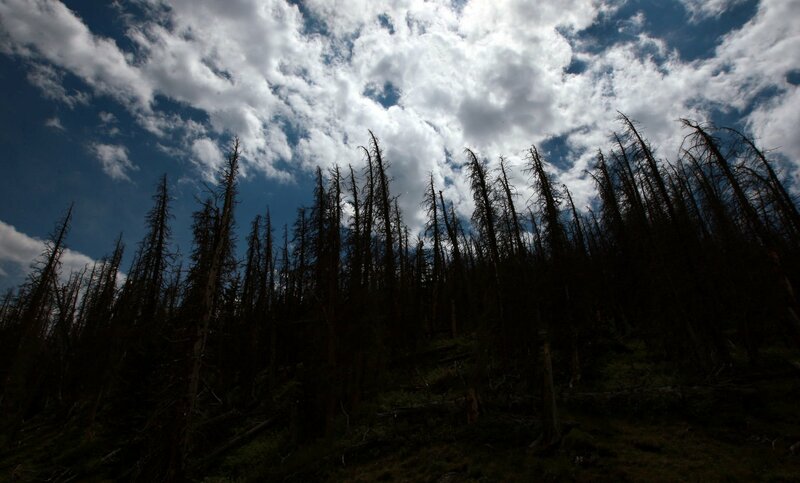 Almost 20 years ago, a mountain pine beetle infestation began creeping into Wyoming’s southeast forests. By 2009 it had peaked… A few years later, hundreds of thousands of acres of forest began falling down. …But what impact the infestation would have on Wyoming’s wildlife, particularly its expansive elk herds, was more of an unknown. Until now. Researchers with the University of Wyoming and Wyoming Game and Fish Department recently released a study detailing the impact of dead and dying trees from beetle kill on resident elk herds. The results were published in The Journal of Wildlife Management, and were not what many predicted. …Monteith and others learned, elk avoided beetle kill areas, sacrificing the additional green vegetation within the skeletal forests in favor of healthy forested stands where moving was easier and less energy intensive. BOZEMAN, Mont. – A program to help beautify the City of Bozeman, planting more trees across the area, returns this week. The city’s Cost Share Program aims to do just that, with the goal of maintaining a healthy urban forest by providing a selection of trees for homeowners in town to buy. And that’s at a shared cost. The city’s Forestry Division says trees must be planted in the boulevard space between the sidewalk and the curb — with responsibilities going to the buyer to take care of them after they are planted. That’s taken care of by the city, which planted 175 trees last year in the program. “We’re planting for diversity. 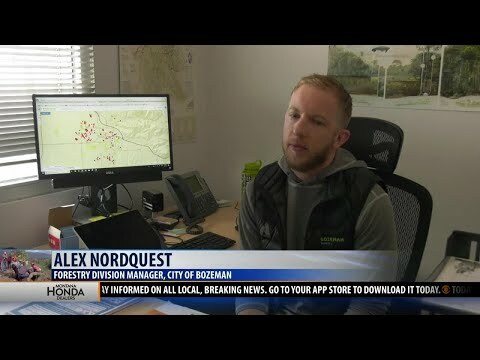 We want residents involved with our boulevard trees,” says Alex Nordquest, Forestry Division manager for the City of Bozeman. 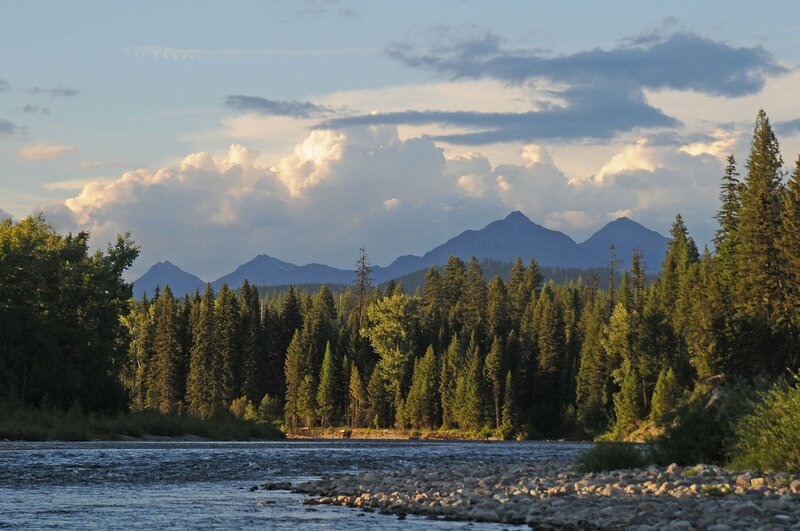 The U.S. Forest Service recently completed a new management plan for the Flathead National Forest (FNF) that will guide decisions on the Forest for the next 20 to 30 years more. The plan addresses a dizzying array of management issues – including municipal watersheds, wildlife habitat, protected lands, outdoor recreation, and much more – over 2.4 million acres that cover the Mission Mountains, the Swan Range, and the Whitefish Range. Those of us in the conservation community have focused our attention on the places the FNF plan recommends for Wilderness designation. …In light of our currently divisive socio-political landscape and the increasing recreation pressure on public lands across western Montana, we are proud of the Flathead Forest plan and pleased that the Forest Service will manage 190,000 acres of wildlands in a way that will help ensure those lands remain wild. AUSTRALIA — Victoria’s environment department has been so ineffective at regulating logging in state forests that the government-owned forestry enterprise VicForests has effectively been left to self-regulate, according to an independent review. The report finds the Department of Environment, Land, Water and Planning is “neither an effective nor respected regulator” and the state’s logging regime is “dated, complex, convoluted – indeed labyrinthine – and difficult to use”. The review of the regulation of timber harvesting in Victoria has recommended several changes to the way compliance with logging rules is managed and enforced. …The government has responded by saying a chief conservation regulator will be appointed to oversee a range of reforms. Environment groups consulted as part of the review said the findings were “scathing”. It’s likely you or someone you know have children who were swept up in the recent “student strike 4 climate”. …Leaving aside for a moment what they mean by “climate action,” what lesson is conveyed by these demonstrations? That’s obvious. The way to get what you want is to refuse to carry out your responsibilities and yell at elected leaders to do what you want them to do. …The “climate action” demands are familiar as well. Stop the Trans Mountain oil pipeline expansion and the LNG Canada gas pipeline and… all industrial logging in “ancient temperate rainforests on Vancouver Island”. …The BCTF urges people to “act on your positions of influence as teachers and community members”. …Horgan’s government is preparing new tax incentives to deliver the LNG Canada project, arguing that it will replace more carbon-intensive fuels. …Students are getting a different message: democratic governments don’t matter. 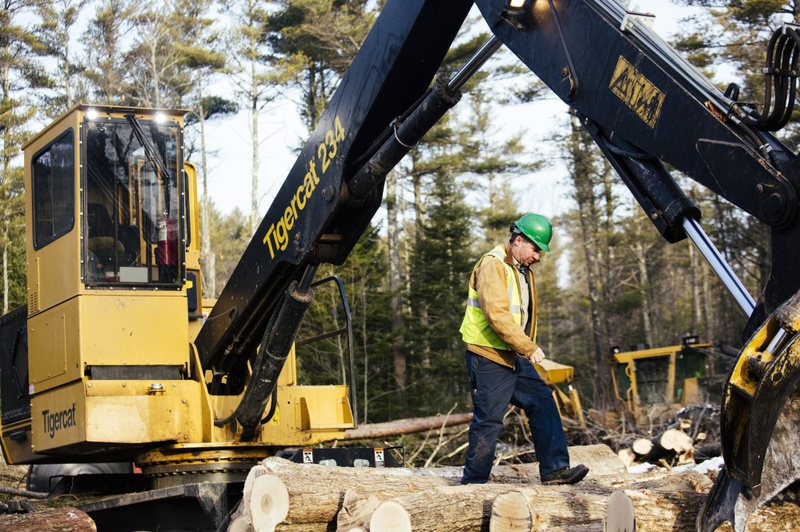 AUGUSTA, MAINE — The Professional Logging Contractors of Maine believes that Gov. Mills’ goal of reducing both fossil fuel consumption and the heating bills of Maine citizens is a laudable one. We also believe it can be achieved in part through renewed emphasis on our state’s traditional wood energy economy. Mills made reductions in fossil fuel use and heating bills a priority in her budget address Feb. 11 and has since reiterated this goal, most recently in her support for a fund to assist Mainers installing heat pumps in their homes. …Wood is also the most economical heating source in Maine. The annual cost of heating with wood is lower than any fossil fuel option as well as heat pumps, which ranked second in a comparison chart produced by Efficiency Maine. The future climate is expected to be warmer and rainfall is expected to be higher than at present, particularly during the winter. This will increase warm periods and rainfall during the winter, which may lead to a thinner snow cover, local flooding and the formation of ice layers on ground surface and inside the snow cover. According to laboratory tests, small pine and downy birch seedlings seem to react differently to different snow conditions. Only those pine seedlings that were fully covered by snow started to grow normally. 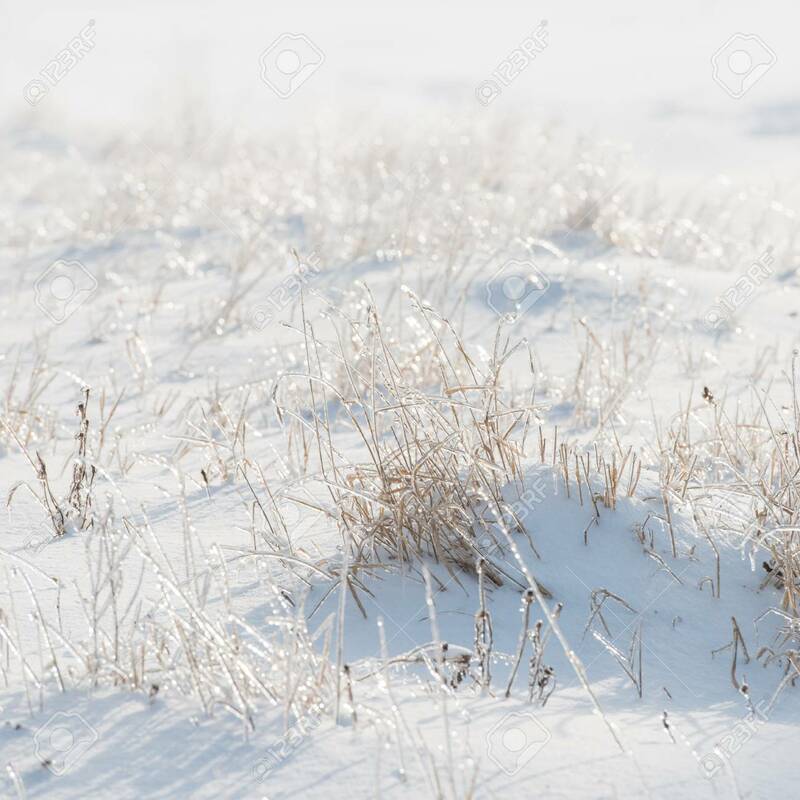 Those seedlings that were partly covered by snow or not covered by snow at all suffered from serious damage that took place during the winter or at the beginning of the growing season. Instead, the snow cover or the lack of it did not have any impact on the survival of downy birch seedlings.